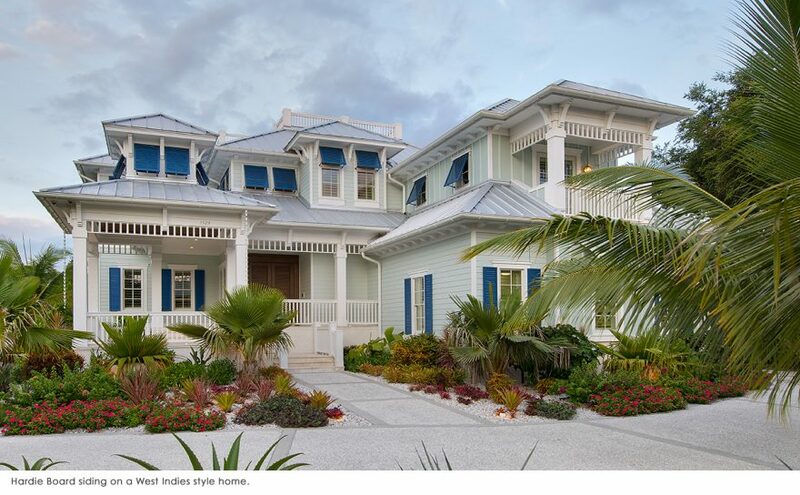 All About Siding - Weber Design Group; Naples, FL. You probably know that the external appearance of a home is inextricably linked to the value of the property. Value can be enhanced by the rich and varied look one can achieve by using sidings creatively. Not only that, but siding choice also plays an important role in protecting your home against dust mites, molds and bacteria. Deciding which siding to choose is an important factor in achieving the look you want your home to have. Carefully chosen siding can help save energy and make a powerful statement about your home. So, selecting the right siding should be done with care, employing reputable installation professionals and choosing a material that is easy to maintain and replace when required. Whether it is a new home or a home improvement project for which you are looking at using sidings, it is important to select the best option the market has to offer to meet your taste and budget. Most sidings come in various sizes and finishes, as sheets, shingles, shakes or veneers, and in an amazing variety of colors. Vinyl sidings have gained tremendous popularity today due to their longevity and durability, as vinyl is impervious to weather conditions. They come in different shapes, sizes and finishes. With low maintenance costs, vinyl is a popular choice of many homeowners. Vinyl, however, can crack over time and is not ideal for some environments. Aluminum sidings are also an option to consider if you are looking for durable, scratch-resistant and maintenance-free choices. These too come in custom sizes and finishes, and are fireproof, but can get dented over time. Hardie Plank or Fiber Cement sidings can be made to look like stucco, wood or masonry and are a good option if wood is beyond your budget. These are durable and are quickly gaining popularity as they are mostly maintenance free and fire resistant as well. Fiber Siding comes in custom shapes and sizes, does not rot, fade nor are affected by wind, snow, rain and sun. Wood sidings have costs associated with them and are not the first option if budget is a constraint. While there is nothing like wood to give a luxurious look to your home, it needs a lot of maintenance, is not fire resistant, is prone to rot and does not stand up to scrutiny in a fire. Other alternatives are metal, masonry and artificial stucco, to name a few. Whether you’re building new or renovating, there is much to say about the role sidings play in enhancing the appearance of your home. Sidings can make even an older home look new, and the wide variety of choices available make it easier to decide which one to opt for, based on your preference and affordability. The location of the home will also dictate the kind of siding you choose, as will the need for insulation and level of vulnerability to the elements. Sidings form the definitive outer skin of the dwelling. Apart from being cost effective and durable, a good choice in sidings is one that has a positive impact on health and the environment. The final choice you make will have a long-term impact on the beauty and charm of your home.